This year, Mrs. Delzell’s kindergarten students are using a technology tool to document what they are learning at school and share with their parents or guardians. The app, Seesaw, is being utilized with the students on iPads to create a digital portfolio of their work. Seesaw is a digital learning journal that allows younger students to independently document what they are learning at school. It gives students a true audience for their work while providing parents/guardians a first-hand look at what their children are up to during the school day. Students document their work in Seesaw using the built-in camera, video camera, drawing, and voice recording features. Once completed, the student work can be shared with their classmates and respective parents/guardians. 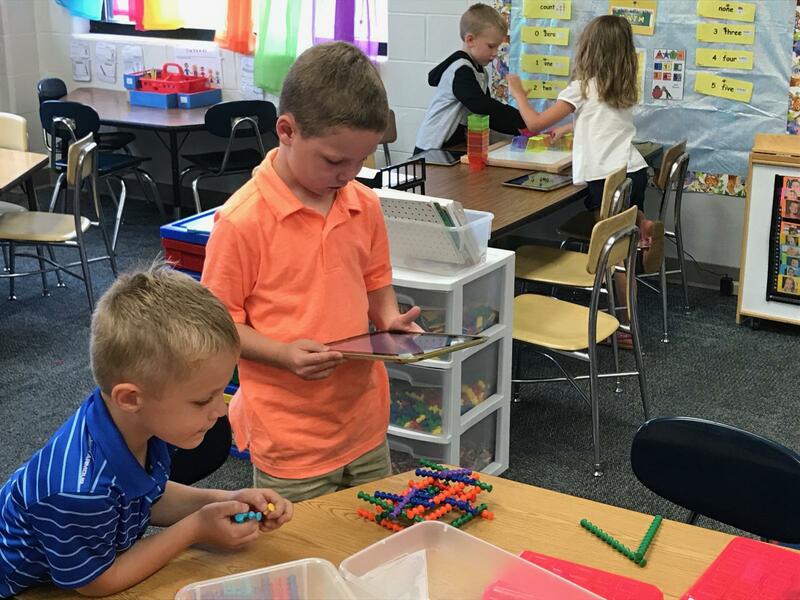 What attracted Mrs. Delzell to Seesaw was that it was a technology tool that did not just keep her students busy playing games while she was working with other students. It was actually a technology tool that could promote academic growth throughout the curriculum and allow Mrs. Delzell to differentiate her lessons to her students. Upon completing projects, students have the opportunity to verbalize and share what they are learning with other students and parents. Mrs. Delzell wanted to use Seesaw to work specifically on learning how to draw pictures for stories, have her students become deeper thinkers in reading comprehension, and have the opportunity to verbally share their writing. The students have become fully engaged in creating and sharing their projects since they have started using Seesaw. The use of this new technology tool was aided in the classroom by the District Technology Integration Specialist, Mr. Gault. His favorite part of his job is to assist teachers and students in the classroom with new technology tools. 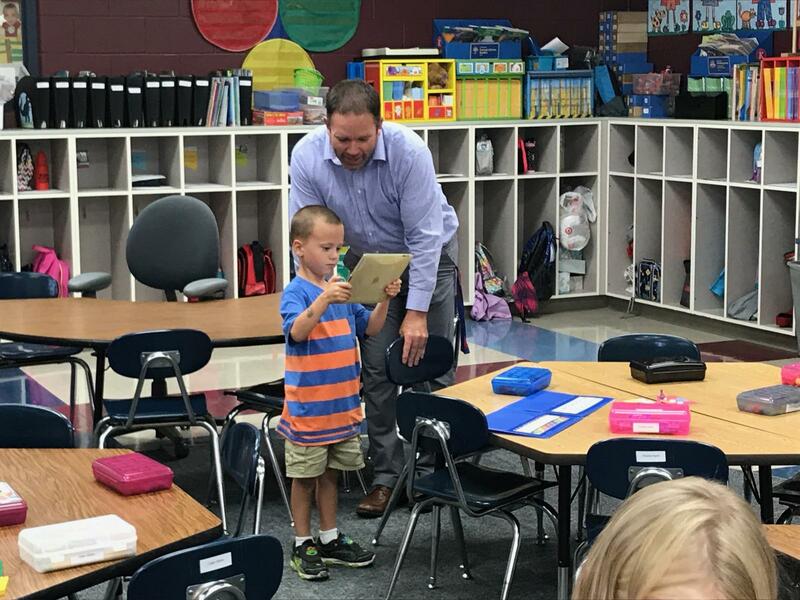 In the case of Mrs. Delzell’s kindergarten class, Mr. Gault was on site to provide a helping hand with planning, preparation, and instruction during “Seesaw Time.” Mr. Gault notes, the greatest hurdle to doing something new in tech seems to be getting over that "fear of failure." His goal is to provide guidance, support, and instructional strategies to aid in the process of our students and teachers becoming tech superheroes. Mrs. Delzell and her students are well on their way to earning their capes!